Employment practice liability insurance, or EPLI, covers your business in the event of an employee lawsuit. Whether a lawsuit is filed by a current, former or prospective employee, an EPLI policy will protect the company, as well as its current/former directors, officers and other employees. 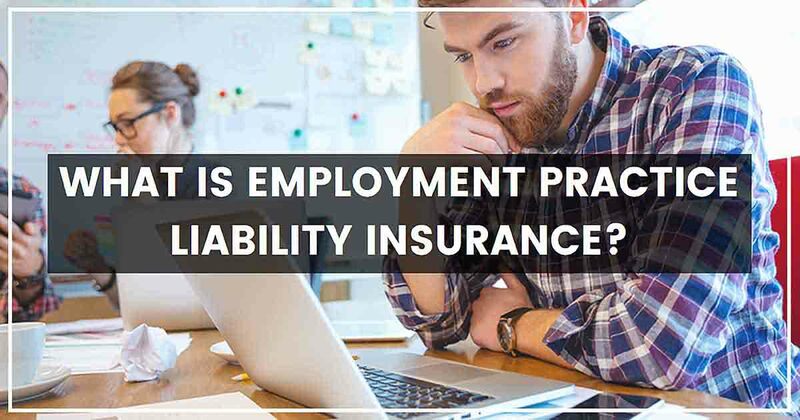 How Does Employment Practice Liability Insurance Work? How Can I Reduce The Risk of Employee Lawsuits? Instituting zero-tolerance policies regarding discrimination, harassment, substance abuse, etc. Also, once you acquire an EPLI policy, don’t drop it. Any gaps in your insurance history could be exploited in the case of an employee lawsuit. Many employment-related claims don’t arise until months or years after the alleged incidents, so make sure not to drop your coverage without a carefully constructed backup plan. Should I Get Employment Practice Liability Insurance? While large corporations typically have employment attorneys and in-depth employment practice policies, small businesses are much less likely to have resources like these at their disposal. With the average settlement being $40,000, an event like this could be detrimental to your business without the proper coverage. For these reasons, it’s a wise idea for most small businesses with employees to invest in EPLI -- especially considering employee lawsuits are on the rise in recent years. Consider purchasing an EPLI policy and taking other strategic steps to ensure a worry-free future for your company today.